Like other books in the Laboratory Animal Pocket Reference Series, this guide covers all aspects pertaining to the use of these organisms including their basic biology, humane care and management, husbandry, life support systems, regulatory compliance, technical procedures, veterinary care, and water quality management. In the relatively brief span of only a few decades, the zebrafish has gone from being mainly a hobby fish to a mainstream model animal employed by scientists to study everything from stem cells to the basis of behavioral changes induced by drug addiction. This rapid advance has been fueled largely by numerous and impressive advances in technology, along with detailed characterization of the animal on a genetic and molecular level. These developments have allowed scientists to leverage the many advantages of the zebrafish system to address many important questions in biology and human genetics and disease. However, there are few accepted and established standards for husbandry, management, and care for the fish in laboratory settings and even fewer comprehensive and constantly reliable resources. To this end, the goal of this handbook is to provide managers, veterinarians, investigators, technicians, and regulatory personnel with a concise yet thorough reference on zebrafish biology, care, husbandry, and management. 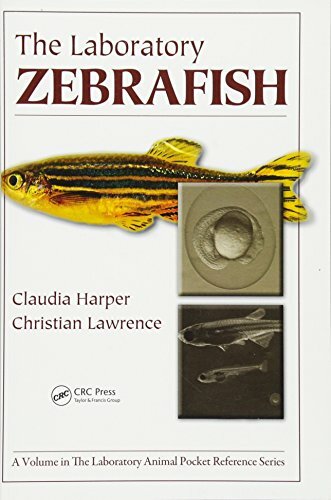 The final chapter, Resources, provides the zebrafish user with lists of sources of additional information on the zebrafish model, as well as key references, professional organizations, and suppliers of equipment and supplies used in zebrafish husbandry and care.